Posted on June 6, 2017 | Comments Off on Throwing money to garbage!! Because it looks ugly!! Is there anyone with any, any solution?? Developed countries waste foods, as they are having plenty; they throw away the foods which looks ugly. Whereas, underdeveloped countries waste foods due to lack of infrastructure and technology!! 1. 1.3 billion tons of foods are wasted every year. 2. This amounts to US$1 trillion dollars of wasted or lost food. 3. If wasted food was a country, it would be the third largest producer of carbon dioxide in the world, after the United States and China. 4. Just one quarter of all wasted food could feed the 795 million undernourished people around the world who suffer from hunger. 5. Food waste in rich countries (222 million tons) is approximately equivalent to all of the food produced in Sub-Saharan Africa (230 million tons). 6. A European or North American consumer wastes almost 100 kilograms of food annually, which is more than his or her weight (70 kilograms). 7. A European or North American consumer wastes 15 times more food than a typical African consumer. 8. Lack of technology and infrastructure is the main cause of food waste in Africa, as opposed to household food waste in the developed world. 9. Food waste in Europe alone could feed 200 million hungry people. 10. Food waste generates 3.3 billion tons of carbon dioxide, which accelerates global climate change. Get more eye opening information in this video below. World Environment Day (WED) is a day to remember that the Earth’s natural resources are limited, and to celebrate positive environmental actions that protect those resources. Food waste—which represents a third of all food produced globally—is a major area where the Earth’s resources could be used more responsibly. The Barilla Center for Food and Nutrition (BCFN) hopes to reduce food waste by 50 percent by 2020 through the Milan Protocol. Dedicated to all the Food Handlers on the event of World Environment Day. Living for a Better Tomorrow!! Comments Off on Throwing money to garbage!! Because it looks ugly!! There was a time when telephones were only available to the elite. As such, it was strictly the most upscale hotels that made use of phones during the late 1800s and early 1900s. Typically, a desk phone would have been available for hotel staff, and a single wall phone located in the lobby area for guest use, with all calls being directed through an outside operator. In 1957 Hilton first offers direct-dial telephone service in Hotel. This allowed rooms to dial out local calls and be billed for them.Another feature was single digit dialing for various services–room service, valet, concierge, front desk, each would have a single digit assigned to them and the phone dial would have an outer mount explaining all this.For long distance calls, hotel operators would ask for time and charges (as most businesses did back them), record them, and add them to the guest’s bill. Although still considered to be a luxury, this became a turning point for phones within the hospitality industry. As guests could now connect directly to other guest rooms, the front desk, and outside lines, the demand for in-room phone extensions was growing. Over the following decades, the popularity of both residential and commercial telephone systems exploded, enabling hotels to take advantage of the service for accepting advance reservations. The next major change occurred in the 1960s, when touch-tone telephones were introduced. Not only did this improve dialing speed, but the technology also made automated phone menus possible. As technology progressed, hotels enjoyed the luxuries of caller ID, multiple phone lines, call waiting, call transfers, and more. 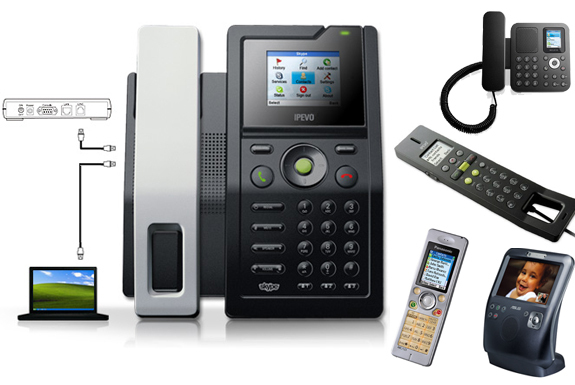 The biggest breakthrough for hotel phone systems came with the launch of the World Wide Web. Although, at the time, many traditional phone companies argued that voice would never be able to travel via the internet, the idea was never abandoned, and as early as 1995 the “Internet Phone” was born. It took nearly a decade to perfect this particular technology, with the world’s introduction to Skype in 2003 as the big game-changer. At present, hotels and guests has shifted to the Handheld Android Devices and I-pad, I-Phone, etc. As a young apprentice, it is most exciting to see the rows of gleaming copper / brass / stainless steel/ ceramic / earthen pot and pans, vast shining stoves / oven …. almost exciting to see CHEFS / COOKS in their whites at work all at the same time. Soon after the first introduction began with instructions in culinary science, store room and into the nature of quality of ingredients. Explained for instance the different sort of rice. Almonds too must, carefully pick them, in case there may be a bitter one among them, which are smaller and wrinkled. Learnt the difference between currents, sultana and raisins which also had to be tested for smaller stones, as must peas, lentils and beans. Before cooking they had to be carefully washed and any impurities removed. One is asked if he had understood and as always said ‘Yes’ with the great confidence. A senior cook had not given either lentils or rice but a bag of salt to wash. Lad zealously poured into water, only to find that no little stones remained but also – to the general amusement – no Salt either. On another occasion, a large bowl of Ice Cubes were given to sauté. Other Cook came and gave a kilo of refined flour to cut up fine. Which Lad vainly tried to do. Lad soon forgot his embarrassment at such practical jokes in the thought of being able to play them upon my successors. Lad was now on the look out for such things, but lad had one other occasion. Lad was taken into the Butcher and given an un-skinned sucking pig, with instructions from the Chef to pluck and clean it. Of course Lad had seen often plucked chicken, partridges and ducks – but a pig. That was something new to Lad. He took endless trouble to pluck hair and remove the skin, until his fingers become more and more painful and lad finely give it up. Onlookers could no longer control their laughter, Lad was rewarded for all his vain by a good slice of Cake. This was the end of the tests. It was only later that I discovered that none of his predecessors had passed them any better than him. Published without edit, as exactly said by Chef Manjeet Gill, Father of Indian Cuisine, who has enjoyed every bit of his professional journey. Donning many a hats at the Chef’s Corner, he is happy giving his advice to all the youngsters. What he loves most about his profession is that it keeps you physically and mentally fit. “One needs to think ahead,” he says.